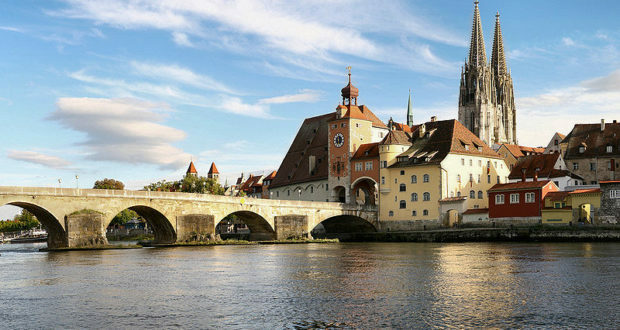 Situated between Munich and Nuremberg, the historical city of Regensburg in Bavaria is a UNESCO World Heritage Site. 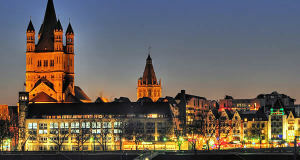 Regensburg for the advent period welcomes its visitors with three important Christmas markets. The most traditional of Regensburg Christmas Market is that of the Infant Jesus, which takes place in the historic center of this beautiful Bavarian town, famous in the world for its medieval architecture. 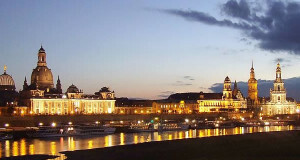 The other two markets are the Arts and Crafts Market and the Romantic Christmas Market, which is held inside the castle Thurn und Taxis. 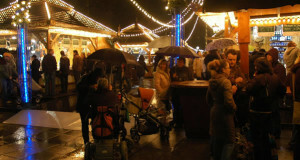 1) Infant Jesus Christmas Market (Regensburger Christkindlmarkt am Neupfarrplatz) in Neupfarrplatz. 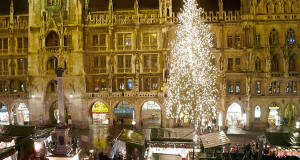 The classic Christmas market held in the incomparable setting of Regensburg’s Old Town. You will find many wooden chalets offering for sale Christmas decorations, cribs with wooden carved figures, toys and practical gift ideas. 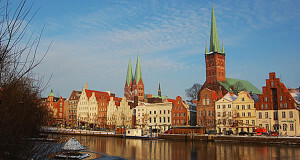 Do not miss the pleasures of the palate, in particular there are the Bavarian regional specialties including Bavarian sausages (Regensburger Bratwürste), the Heidelbeerglühwein, the Apfelglühwein, toasted almonds, and roasted chestnuts. Opening: 26 November – 23 December 2018. Opening Hours: From Sunday to Wednesday: 10.00 to 20.00; from Thursday to Saturday: 10.00 to 21.00. 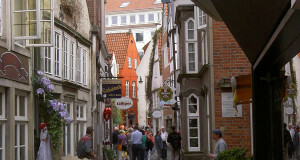 2) Arts and Crafts Market (Lucreziamarkt Regensburg). Typical market where you can find dolls, pottery, silk and other surfaces painting, puppets, handmade toys. Opening: 30 November – 23 December 2018. Opening Hours: From Sunday to Friday: 11.00 to 20.00. On Saturday: 10.00 to 20.00. 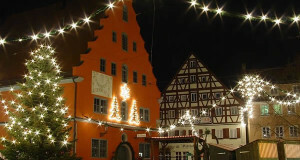 3) Romantic Christmas market in the castle Thurn und Taxis (Romantischen Weihnachtsmarktes auf Schloss Thurn und Taxis). In the Advent weeks the courtyard of the castle Thurn und Taxis is the magical backdrop for the Christmas market. 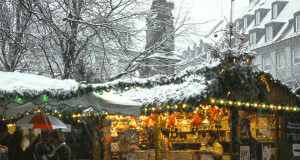 In the Christmas Market you will find crafts of the region, musical performances, children’s programs and culinary delights. Opening: 28 November – 23 December 2018. Opening Hours: From Sunday through Wednesday: 12.00 to 22.00; from Saturday to Thursday: 12.00 to 23.00. Admission fee. 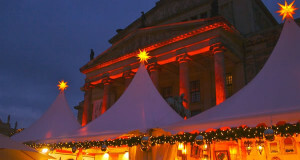 4) Advent Market in Katharinenspital (Adventsmarkt im Katharinenspital). In this cozy Christmas market you will find the smell of roasted almonds and mulled wine, you can hear the sounds of live music or enjoy exceptional cuisine. Opening: 26 November – 23 December 2018. Opening Hours: From Monday to Friday: 16.00 to 22.00; Saturday: 11.00 to 22.00; Sundays: 11.00 to 21.00.